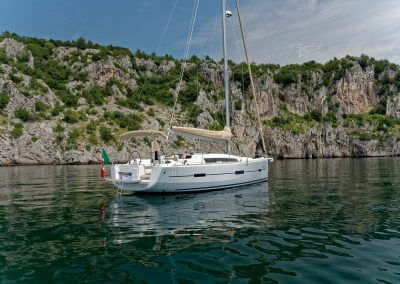 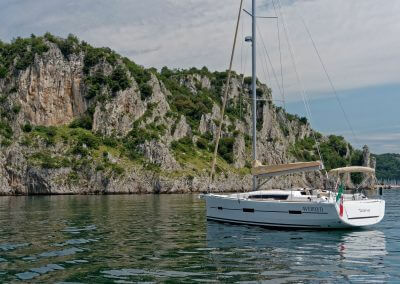 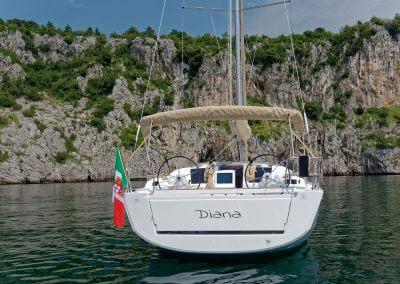 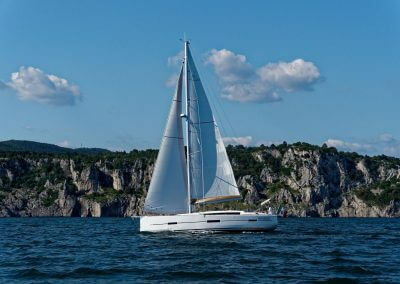 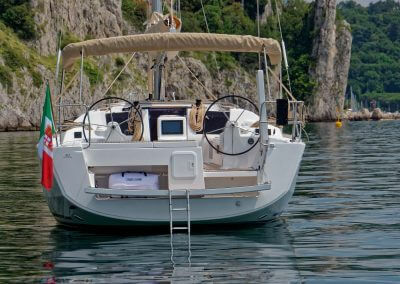 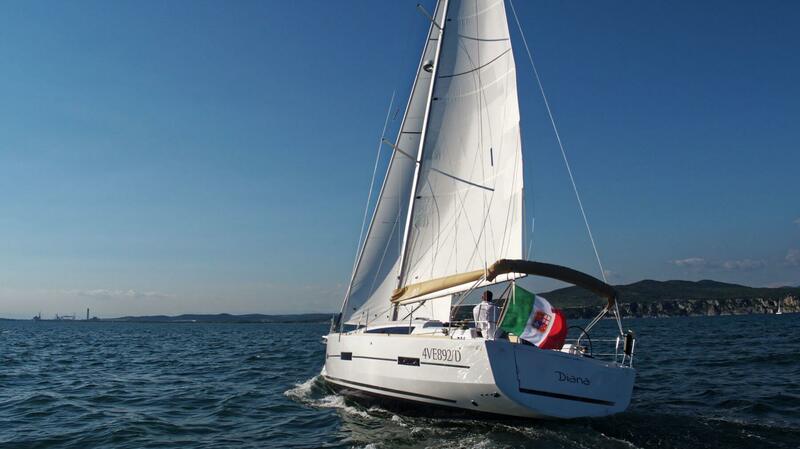 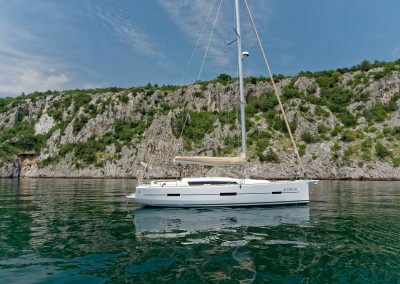 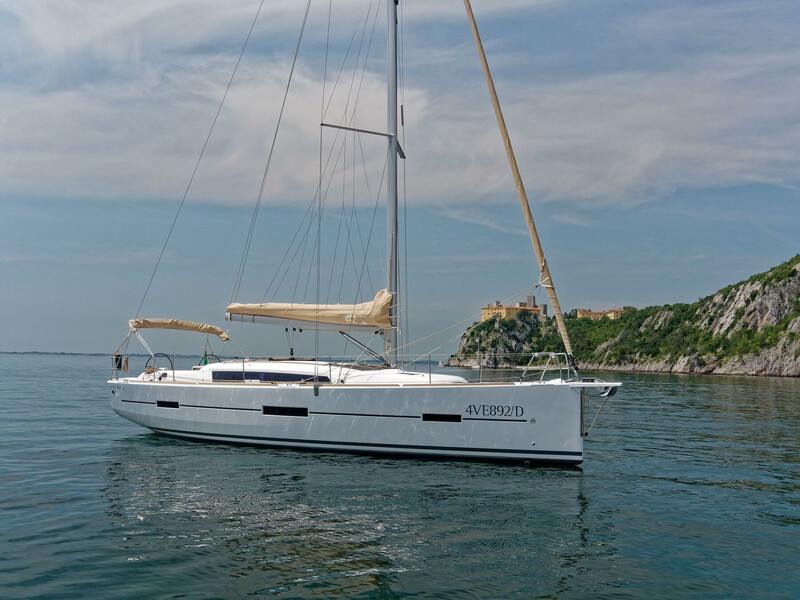 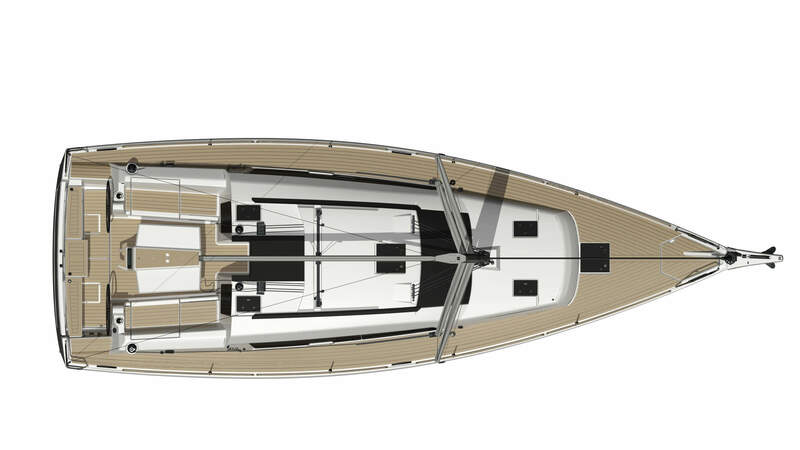 This 12-meter yacht is an improved version of the Dufour Grand Large 410 model, one of the flagships in the range. 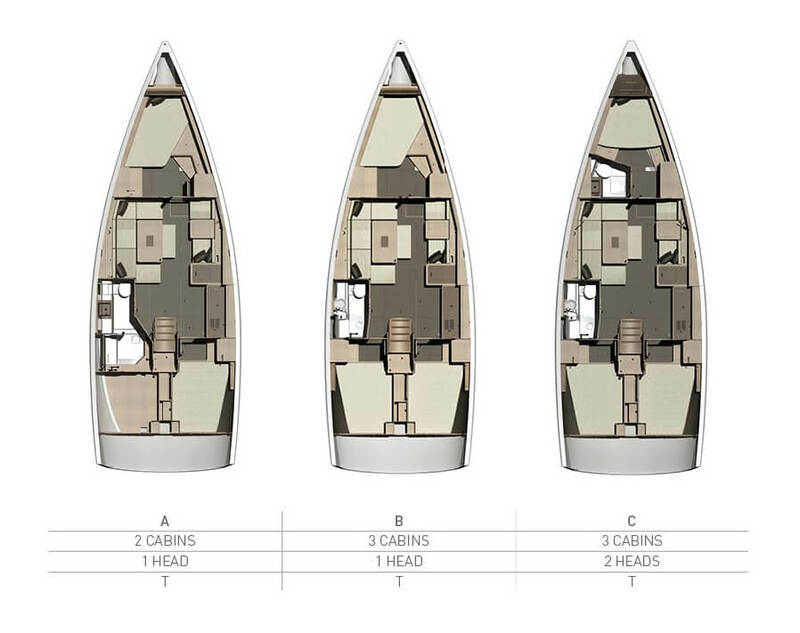 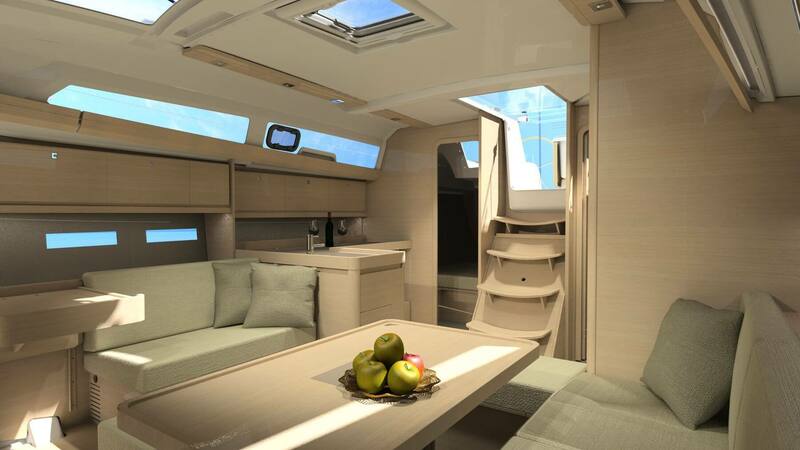 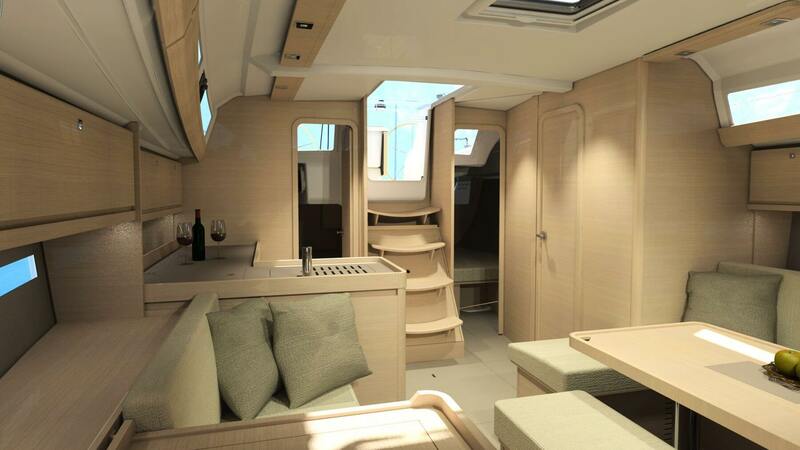 This revamped design was conceived to incorporate functionalities usually reserved for larger yachts. 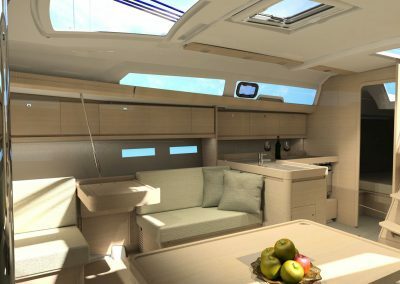 The Dufour Grand Large 412 model’s sophisticated design and equipment thought out down to the last detail makes it a winning yacht. 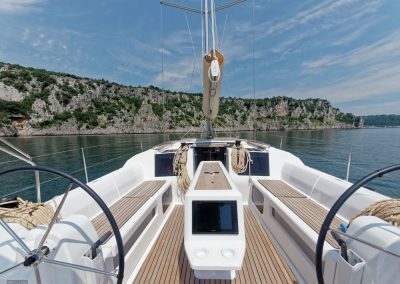 Equipment optimisation and protection The exterior spaces of this 40-foot yacht were revamped and now include a new cockpit closed in by its aft deck to guarantee a high level of safety at sea. 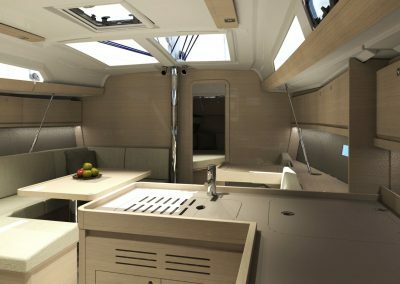 This new, very functional layout makes the most of each area of the cockpit and makes the yacht more spacious. 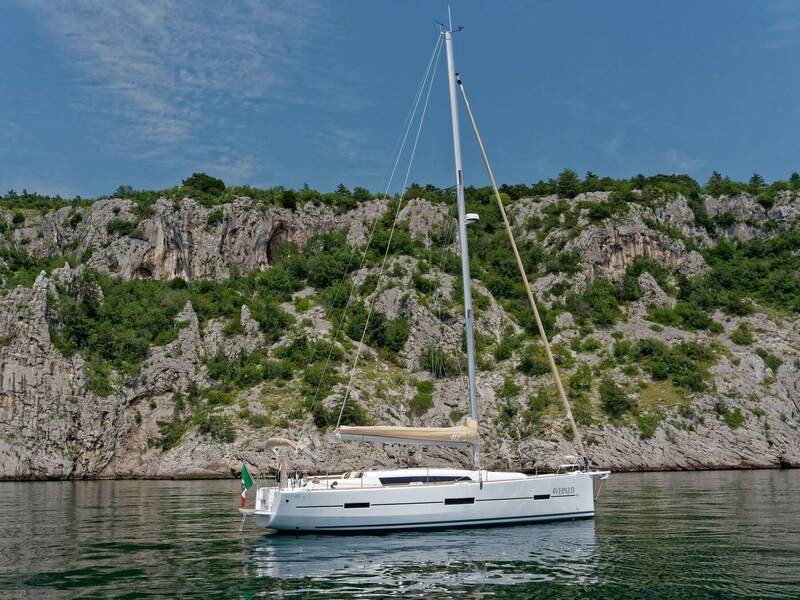 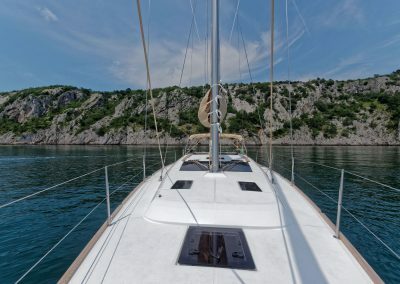 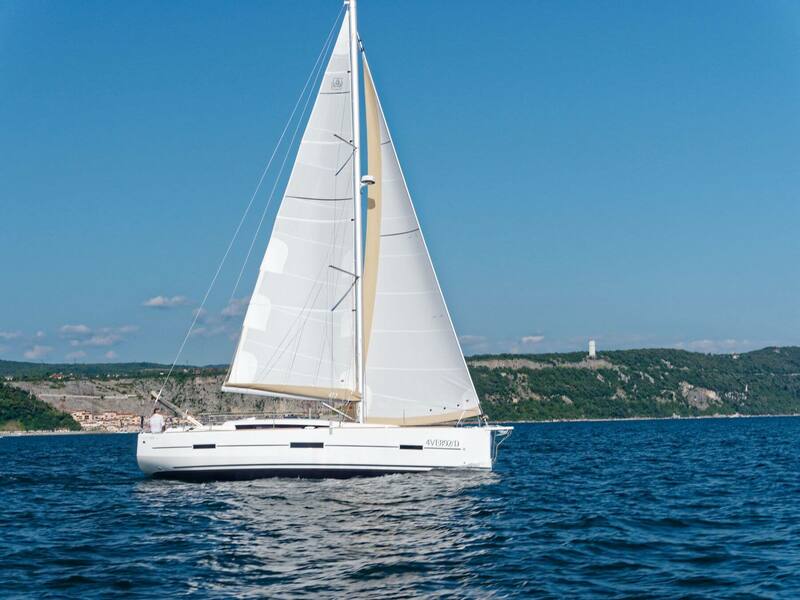 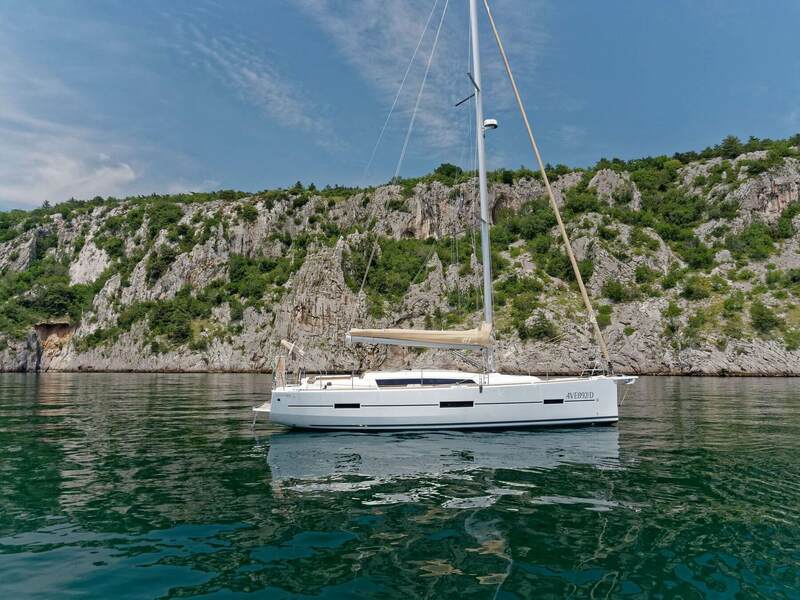 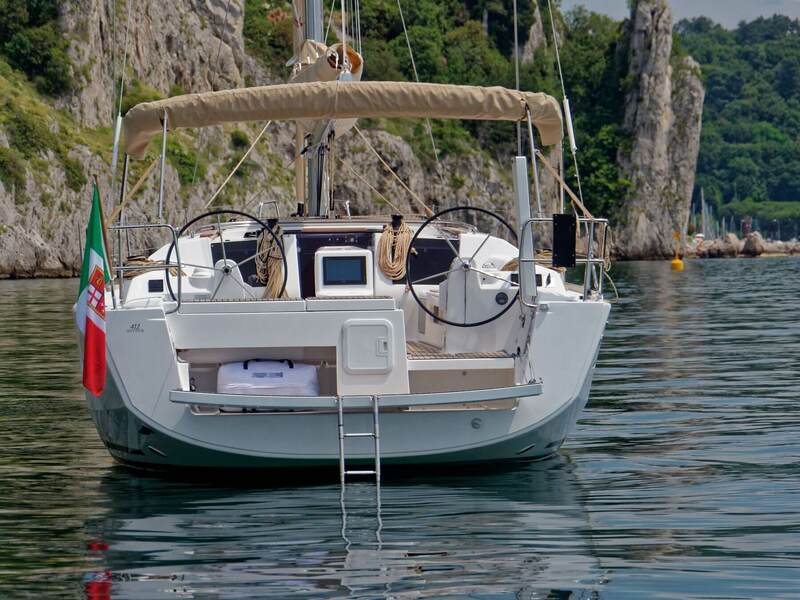 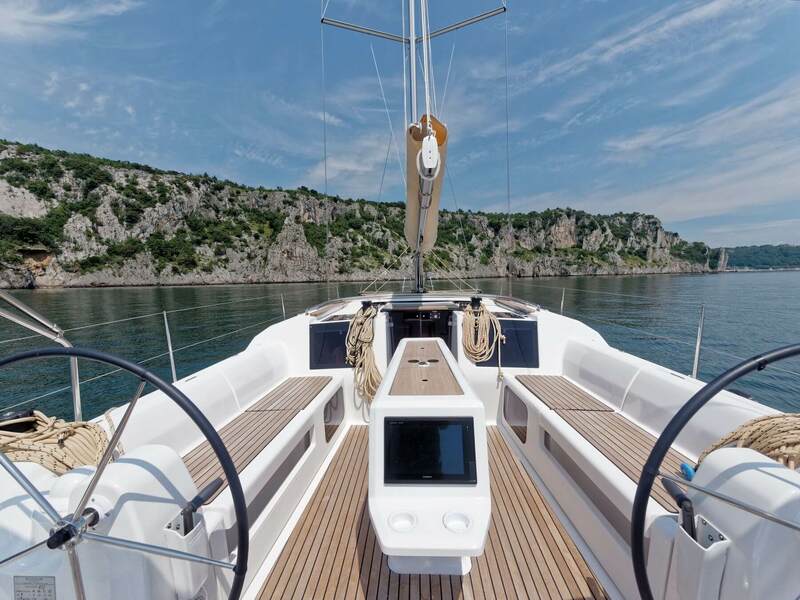 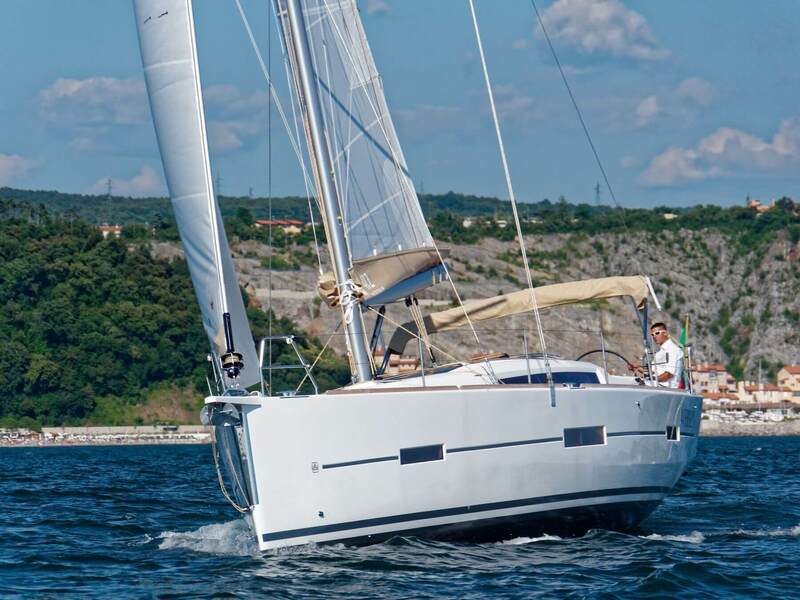 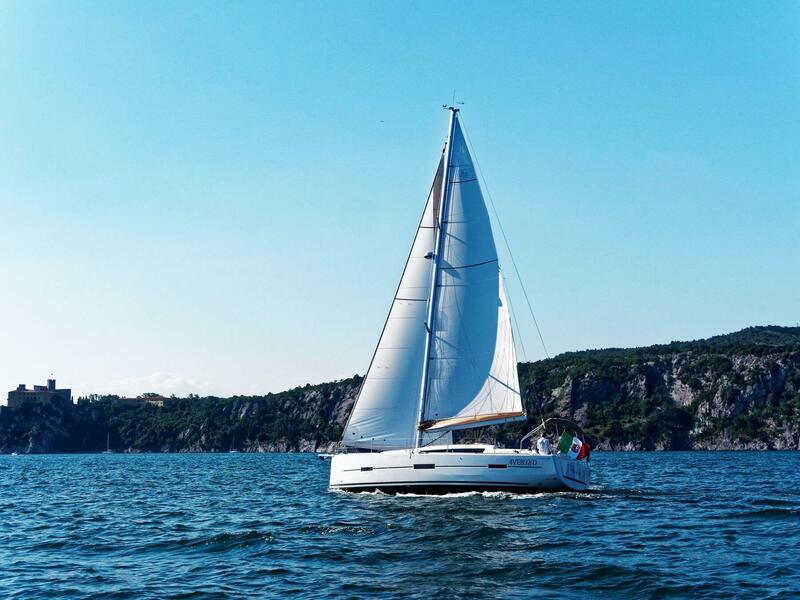 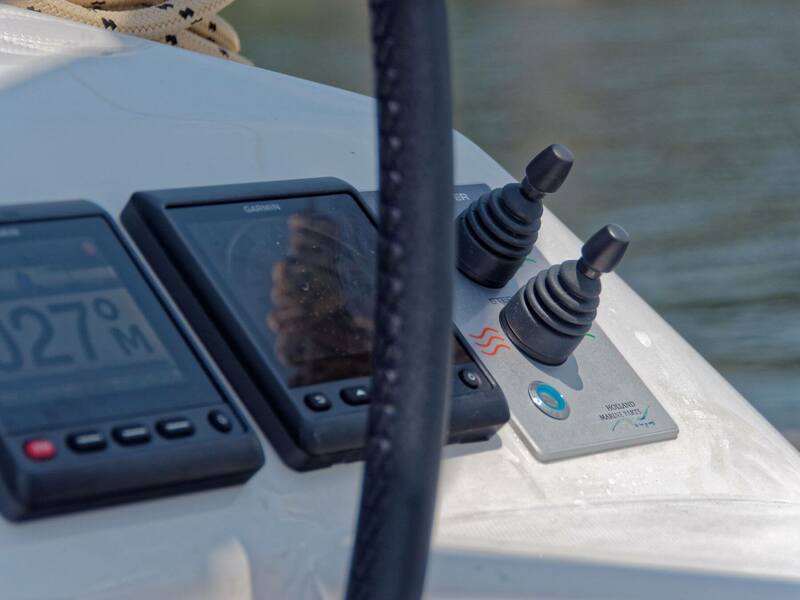 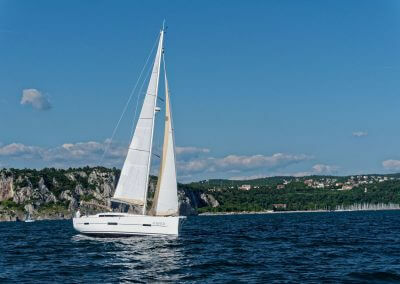 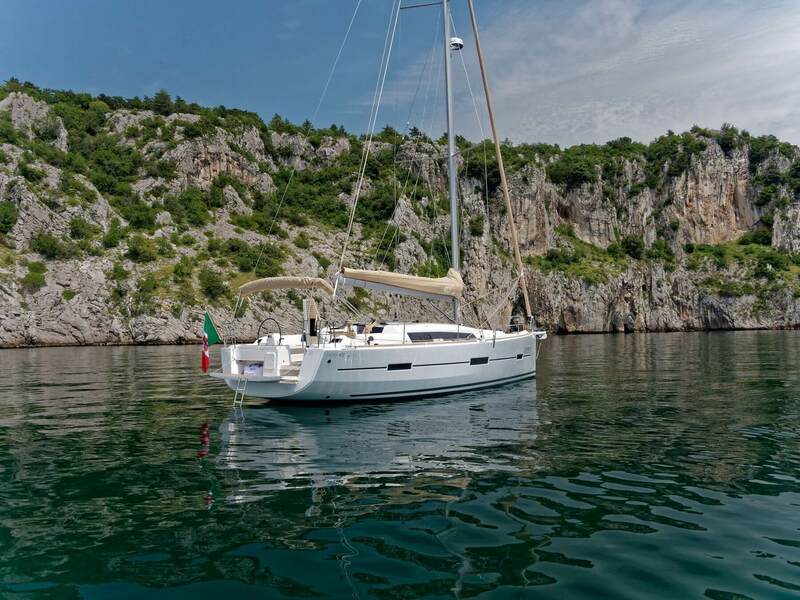 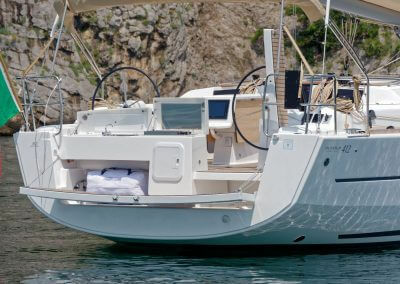 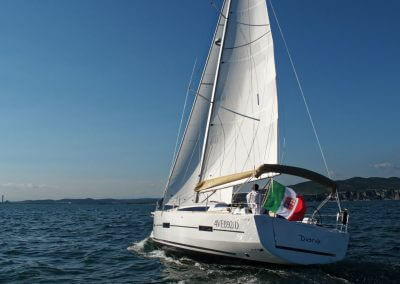 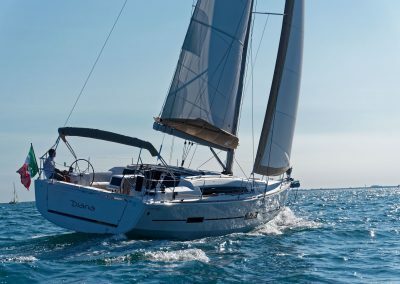 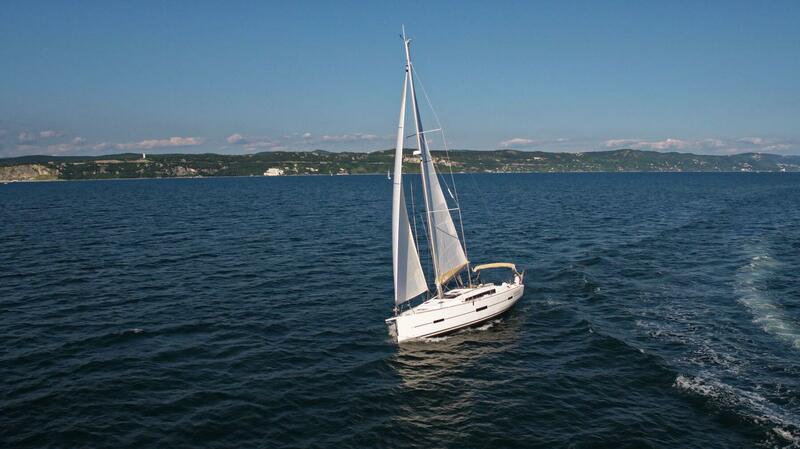 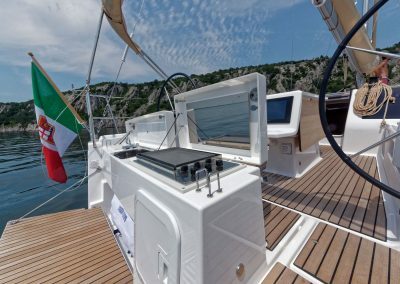 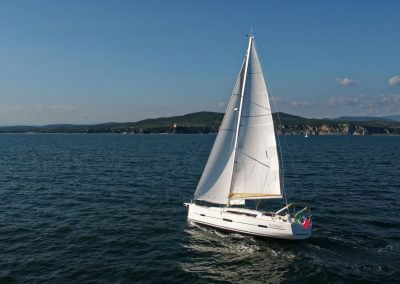 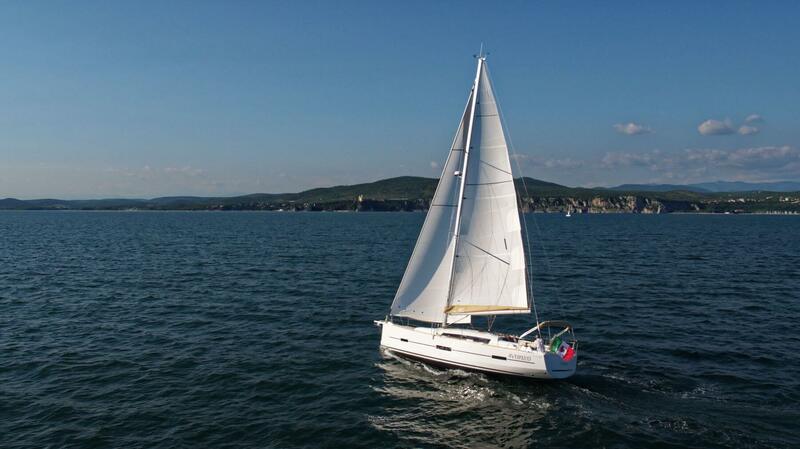 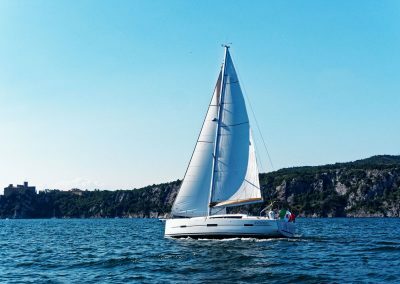 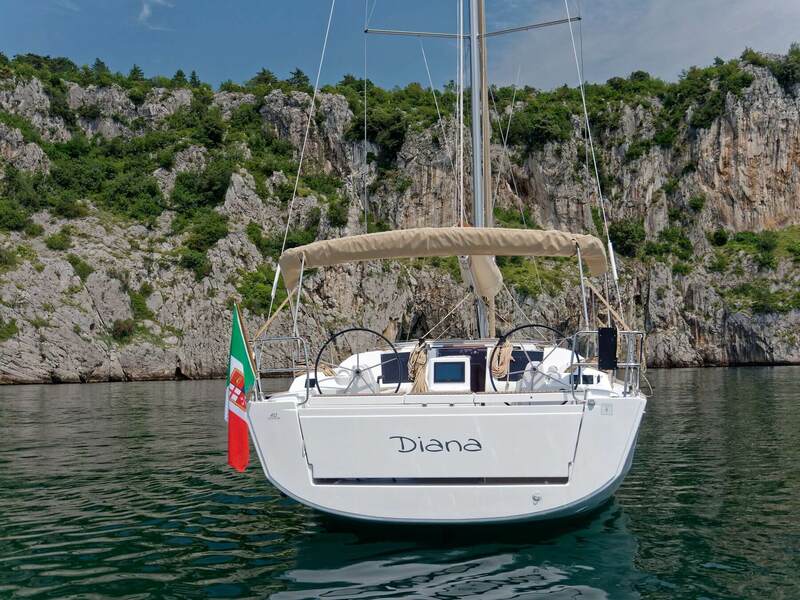 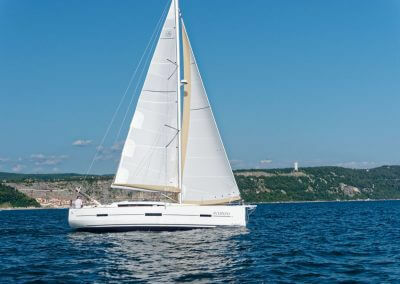 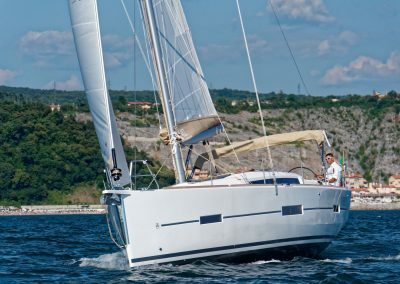 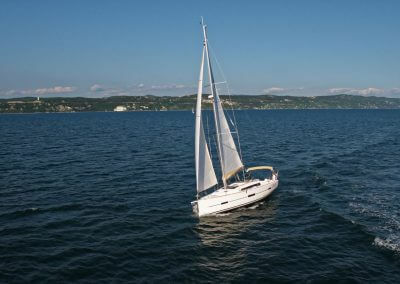 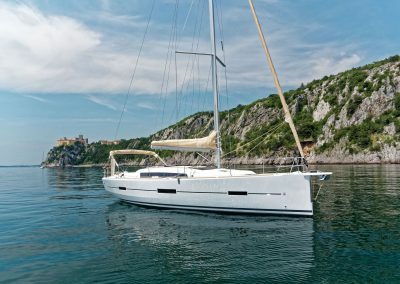 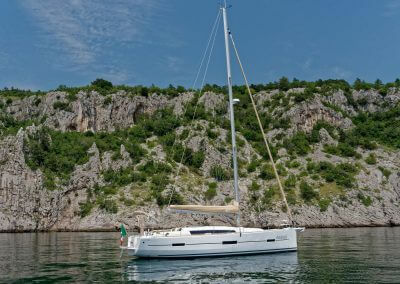 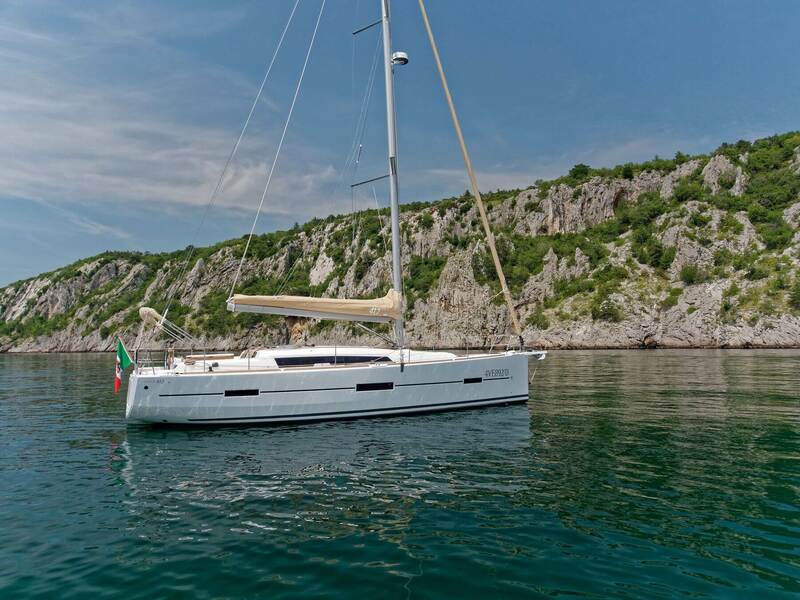 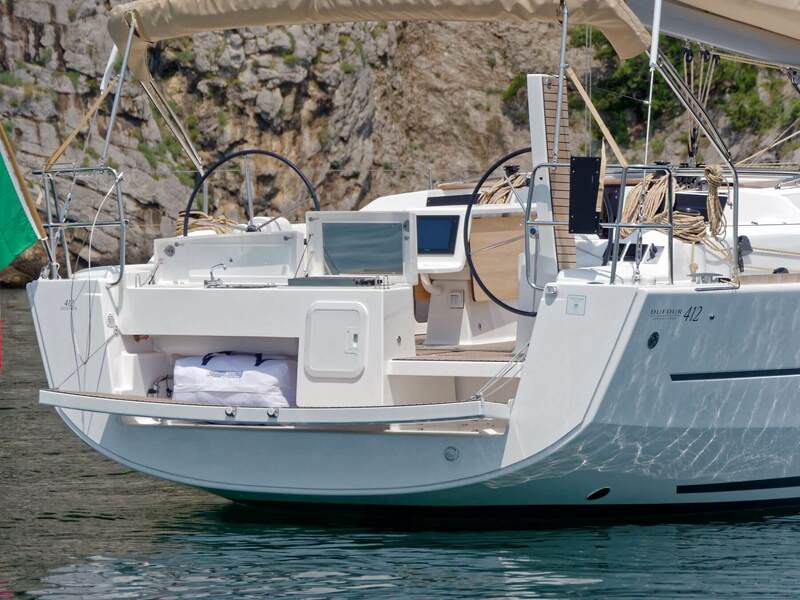 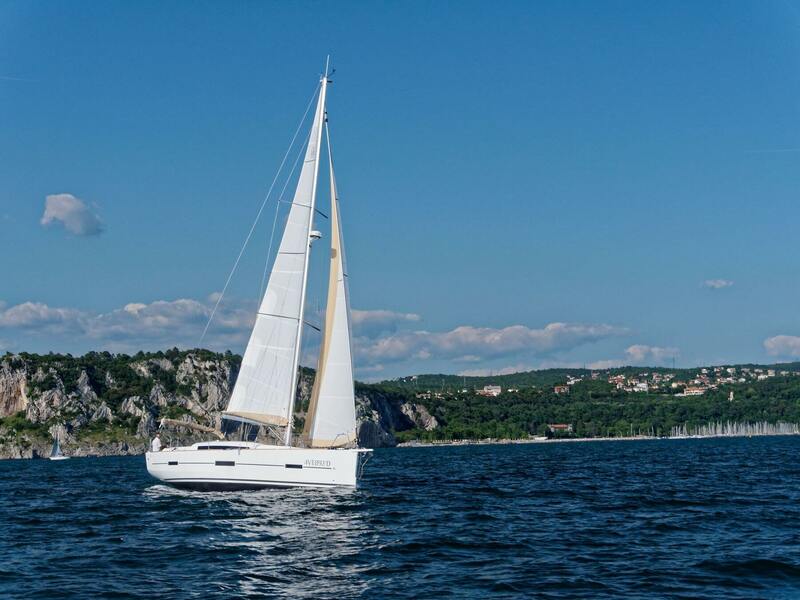 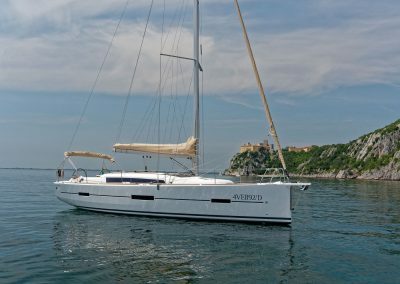 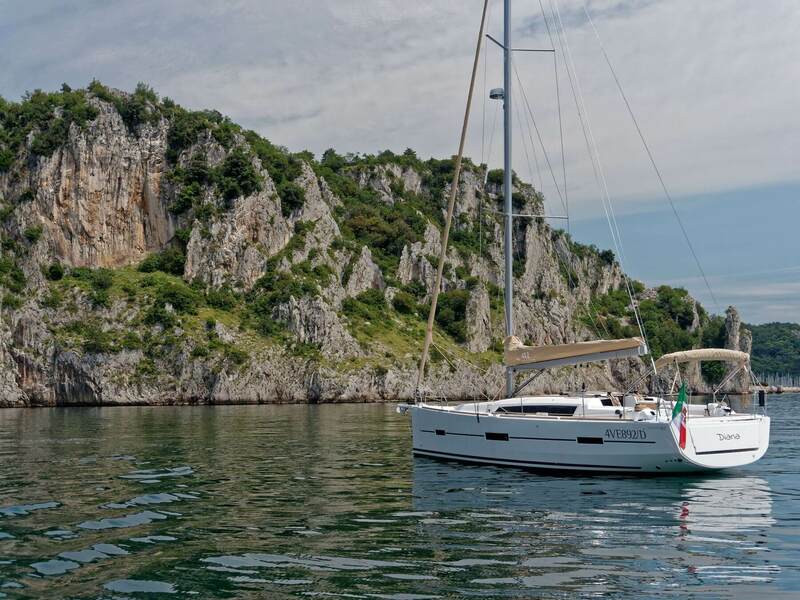 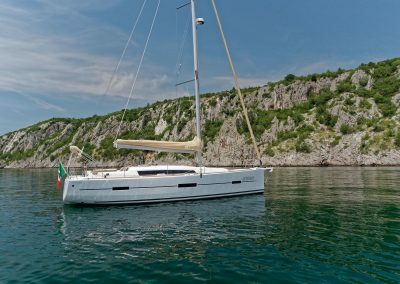 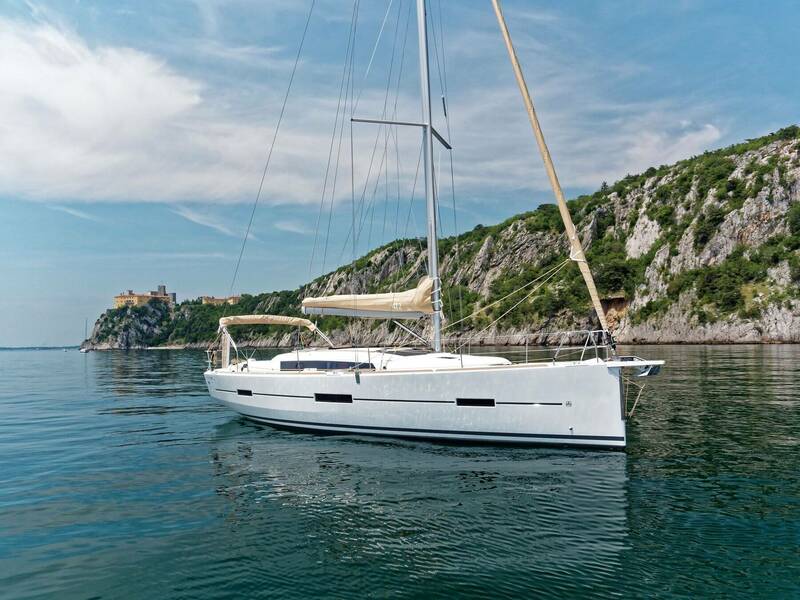 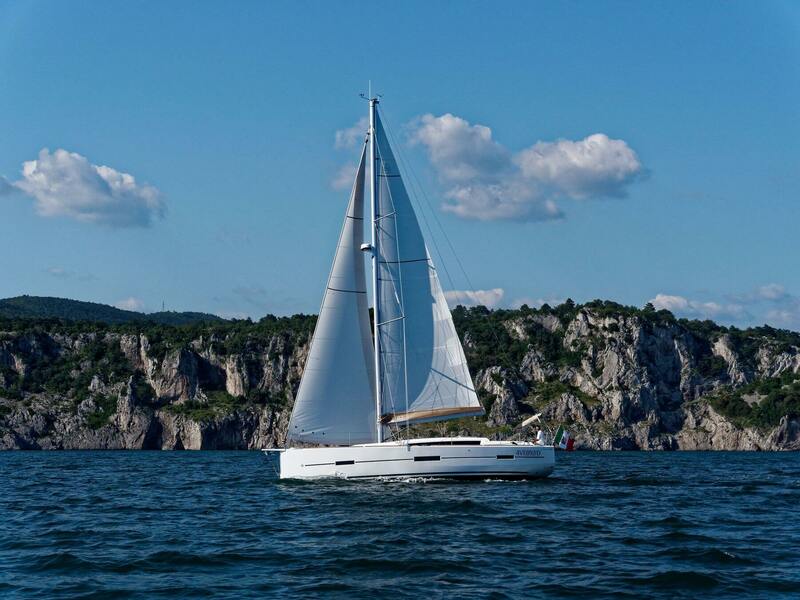 To heighten sailing pleasure further, the Dufour Grand Large 412 also boasts new technical equipment including a fixed bow nose to facilitate mounting of the foresails. 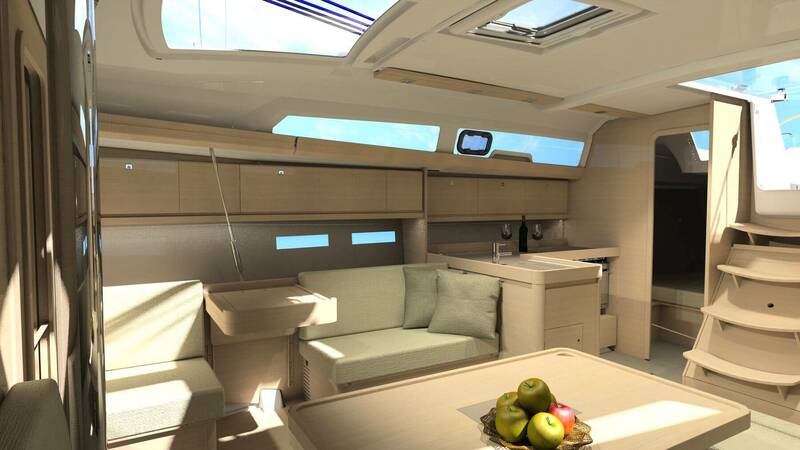 A new vision of comfort The interior has been refreshed to offer maximum comfort. 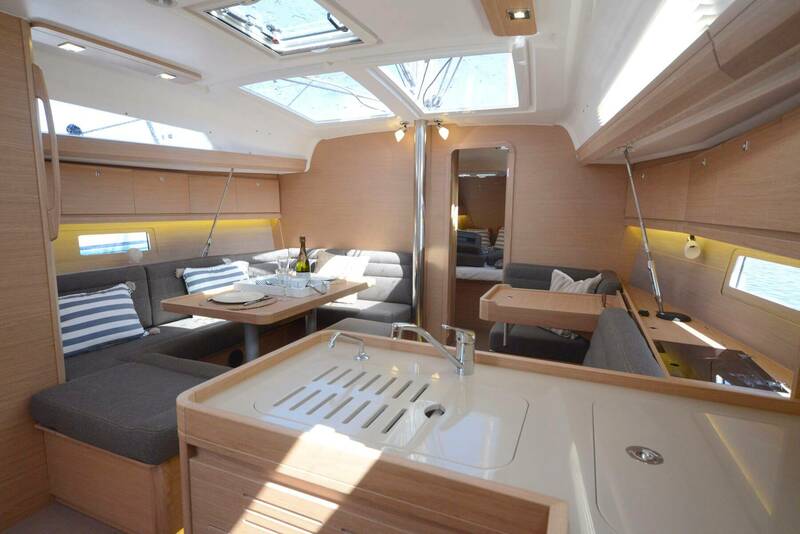 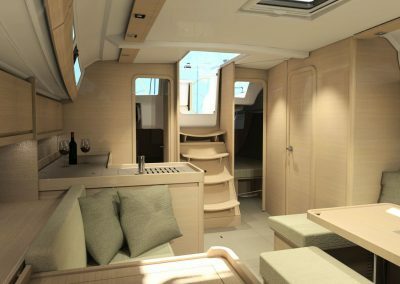 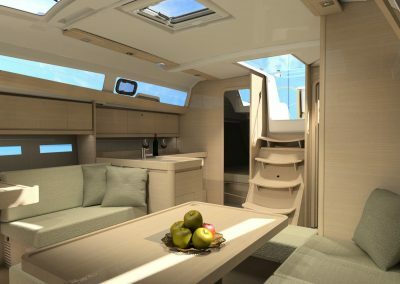 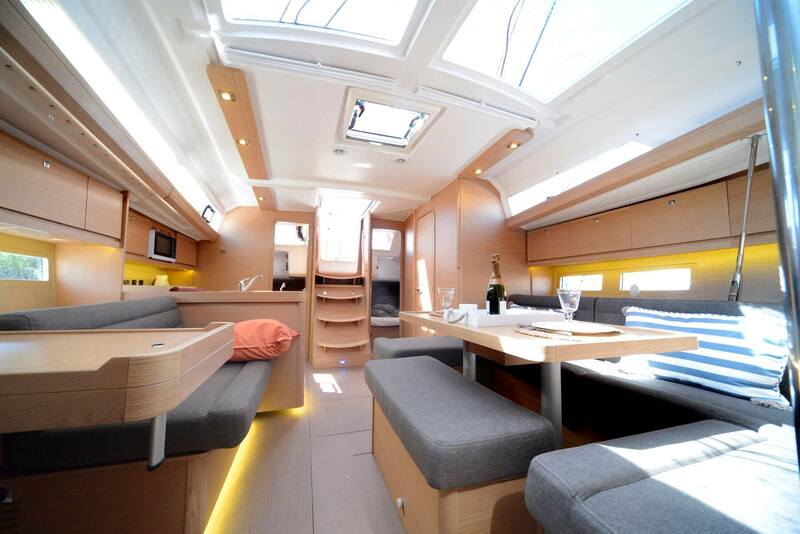 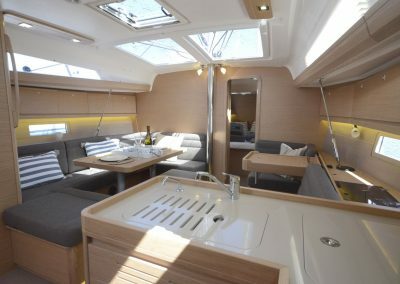 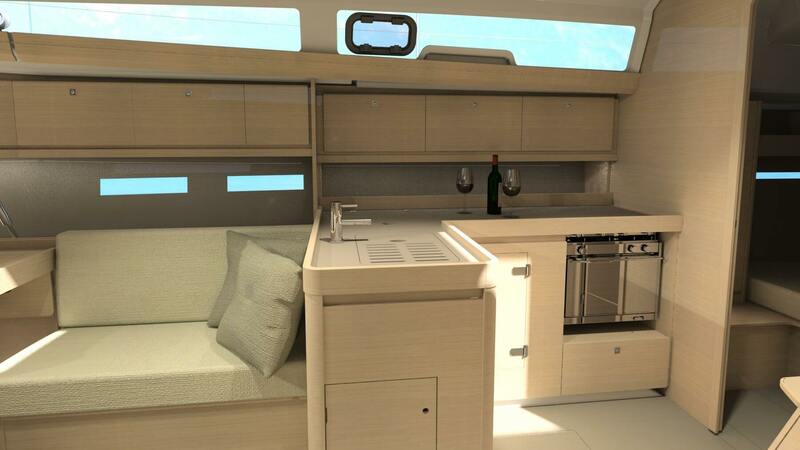 The living space and sunbathing area can be easily separated from the cockpit so that each passenger can find their own space on this stunning yacht and enjoy every moment of their cruise. 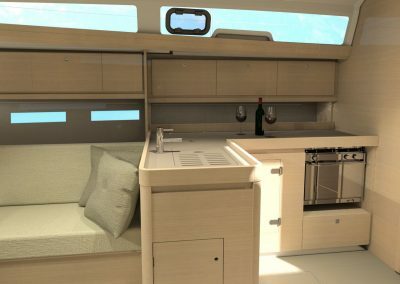 The cockpit has a galley fully equipped with gas barbecue, sink and fridge. 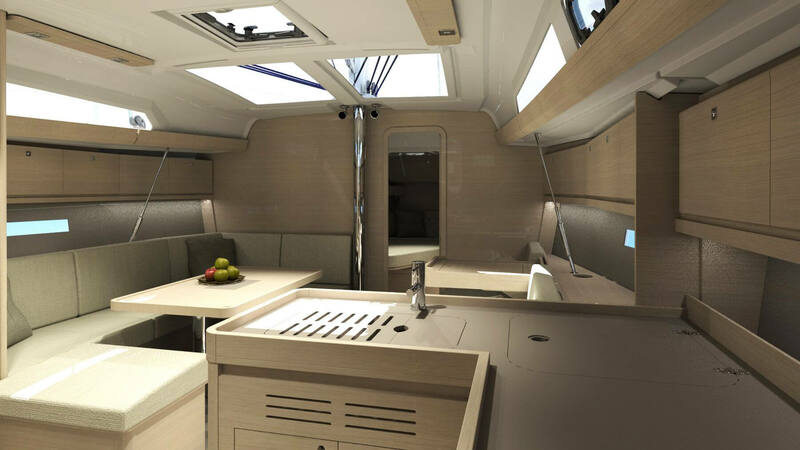 With its new design and functionalities, the Dufour Grand Large 412 model has all the attributes of an exceptional yacht and is a natural leader in its category.